PodcastsOur good and nice words, straight to your ear-holes. 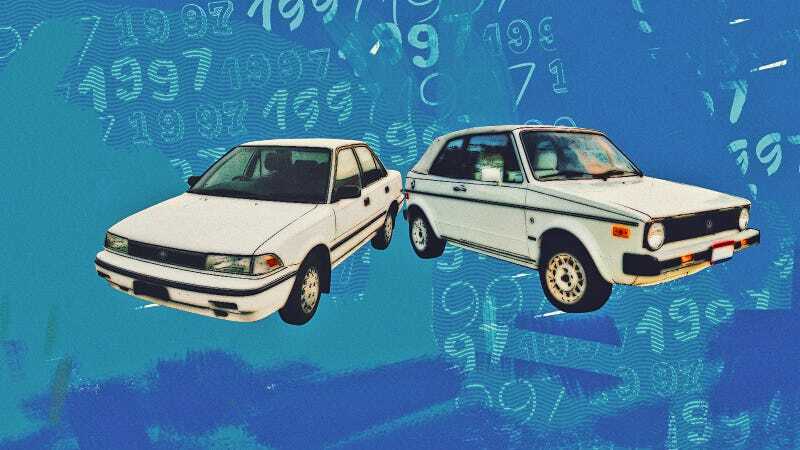 There was a time when the manual transmission was everywhere, enough to be known as the “standard.” Now, especially in the United States, it’s a rare thing that’s only getting rarer. So, for this episode of Tempest, we explore the magic, the mystery, and the occasional misery that comes with learning the manual transmission. When I was coming up with ideas for stories for Tempest, one of the first that came to mind was how I fell in love with driving. It involved a close friend named Catherine, her Volkswagen Cabriolet, and its manual transmission. The gearbox is notable because before Catherine and I started hanging out, I knew how to drive stick, but I hated doing it because of a very bad experience I had. But Catherine’s car had a manual, and the more we drove around it, the more I not only grew to like driving stick, I ended up loving it. In fact, it made me fall in love with driving as a whole. Catherine and I lost touch 20 years ago, but in some ways, I have her to thank for where I am today. So I wanted to track her down to say thanks and to let her know all that she did for me. But I couldn’t find her. And then I found my high school yearbook and the note she wrote me, and it left me more confused than ever. This episode takes place in the west, and in the east; in the past, and in the present; and it features a whole cast of characters. Check it out, and after you do, let me know what you think in the comments. (Don’t be shy about sharing your wonderful and cringe-inducing memories, either!) We’ll hop in the car with an actual teenager who drives with three pedals, and his buddy who hardly drives at all. Then we’ll relive some very funny and very miserable memories. All the while, I work to track down the mystery of Catherine and her Cabriolet. It’s a clutch episode. Listen to it now! Tempest is available wherever you get your podcasts, including Apple Podcast, Spotify, Stitcher, GooglePlay, iHeart Radio and every week here on Jalopnik, too. And hit us up at tempest@jalopnik.com if you want to learn more. Tempest is written, hosted, and produced by David Obuchowski. Mandana Mofidi is the Fusion Media Group Executive Director of Audio. Editorial oversight provided by Patrick George and Kristen Lee. What Happens When Your Life&apos;s Best And Worst Memories All Revolve Around Cars?